Product prices and availability are accurate as of 2019-04-08 02:10:54 UTC and are subject to change. Any price and availability information displayed on http://www.amazon.com/ at the time of purchase will apply to the purchase of this product. ★My Smart Living Products represents the manufacturer and is the only authorized seller of EuroCast Cookware in the United States. 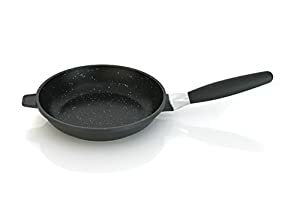 If you are buying this cookware from any other seller, you are buying a cheap knockoff or from a seller that is selling ILLEGALLY. We (EuroCast) will not honor any warrantees, returns, or issues that may arise from cookware purchased from any other seller than My Smart Living Products. 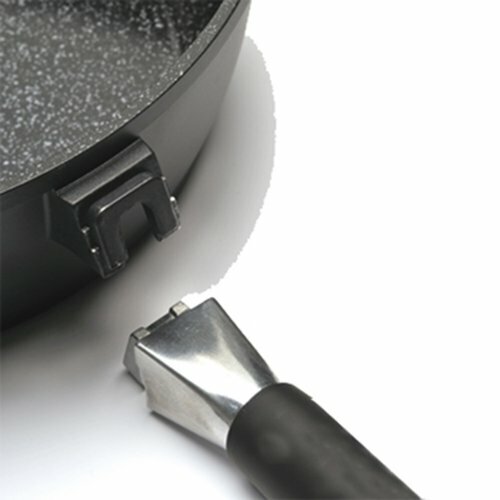 ★Most have detachable handles so that the pans can be used directly in the oven as bakeware. All pans are oven proof to 500f. The glass lids are oven-proof to 400f. ★The 2-layer 'Ferno Ceramic' non-stick surface, the newest layer from Berghoff, ensures quality, durability and performance. No Chipping, Cracking, or Peeling. PFOA/PTFE free - Environmentally Friendly ★Can be used on any type of stove - including induction, electric, gas, halogen, vitro ceramic etc. ★This superbly designed range of versatile cookware has a Ferno Ceramic non-stick surface that makes cooking and cleaning a dream (just use hot soapy water!) Lifetime Warranty! Click on add to cart now!